Yesterday afternoon mum, Theo, Tess, and I set off for Rennell Sound. We had heard tales of its splendour. Rennell is one of the only spots on the islands west coast that is accessible by road. 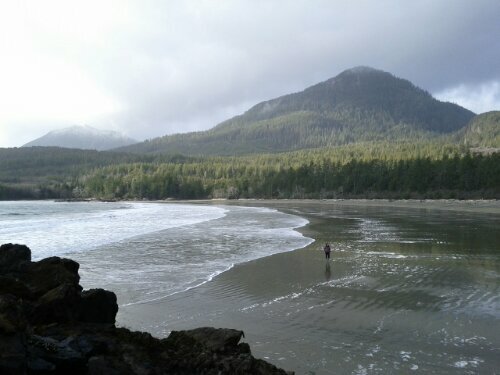 Our target was Bonanza Beach. 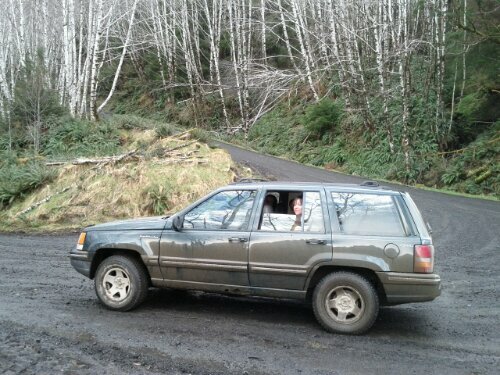 The drive from Queen Charlotte took about an hour along forest service roads. 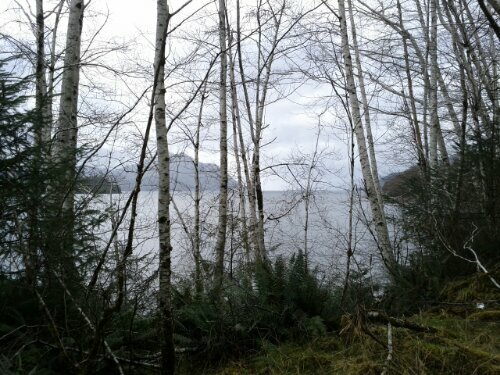 Our first view of the ocean came after descending a 25% grade at the end of a mountain pass. We got muddy along the way. 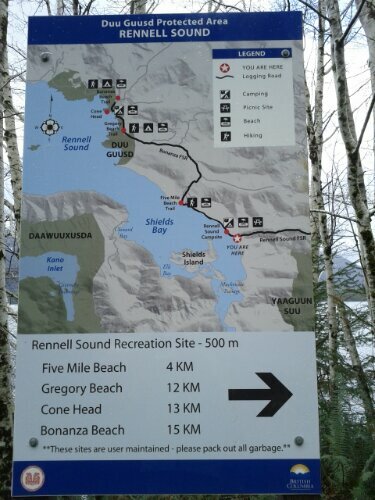 Our first stop for splendour was at Rennell Sound Campground. 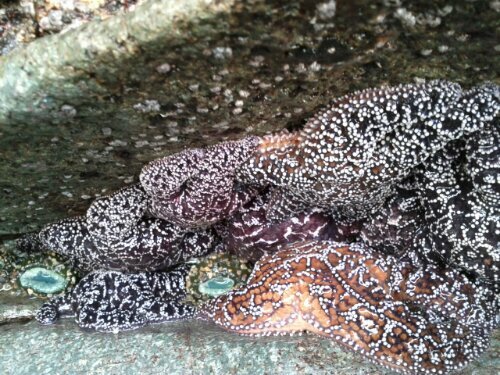 We carried on past many beautiful things until we reached Bonanza Beach. 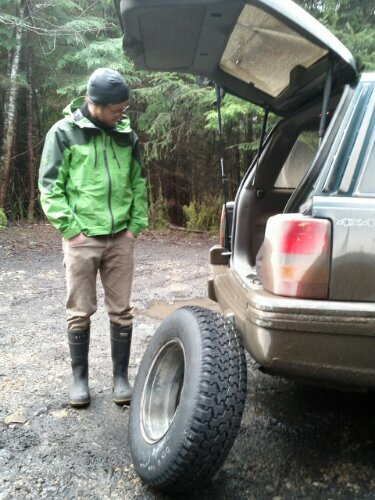 We parked at the trail head and clamboured out of the vehicle. Theo announced he could hear air leaving one of the tyres. Sure enough it had become punctured in the last moments of our journey and was quickly deflating. We decided to put the spare on before walking to the beach. It turned out the spare also lacked the proper amount of air but it outperformed the punctured tyre substantially. The ten minute walk to the beach was marvelous. Many of the spruce had enormous burls. 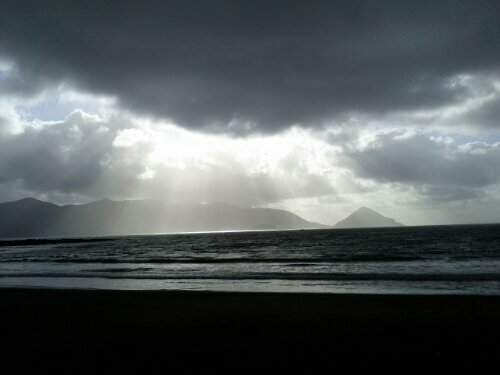 The view from the beach made all our troubles worthwhile. Theo went down to the waters edge for an adventure. Tess explored the sandy beaches. 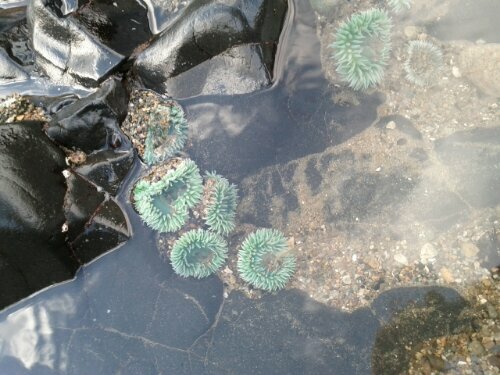 We found sea anemone in the tide pools. 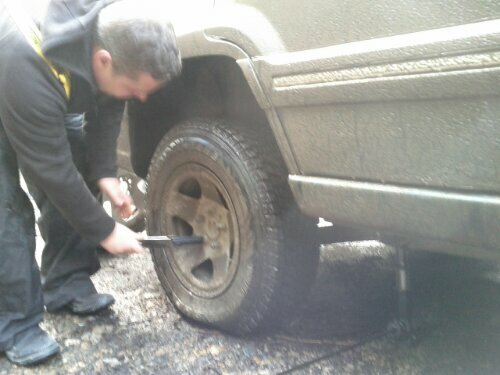 The drive home on our underinflated tyre was slow but without incident. When we got home it was agreed that this did not check Rennell off the list, it moved it up. We will absolutely be back and with intent to stay the night. 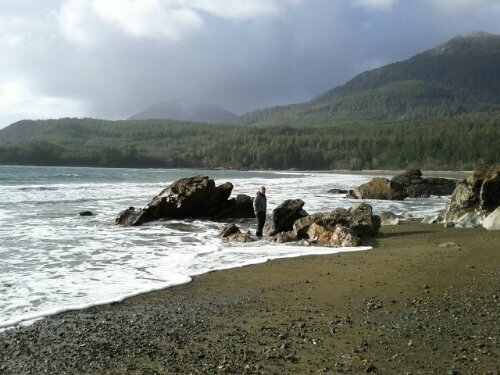 This entry was posted in Adventures, Haida Gwaii and tagged Bonanza Beach, flat tyre, mummy, Rennell Sound, Tess, Theo. Bookmark the permalink.